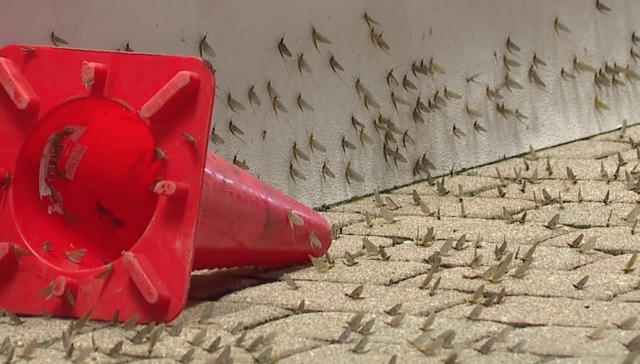 It's that time of year in northeast Ohio — mayfly season. 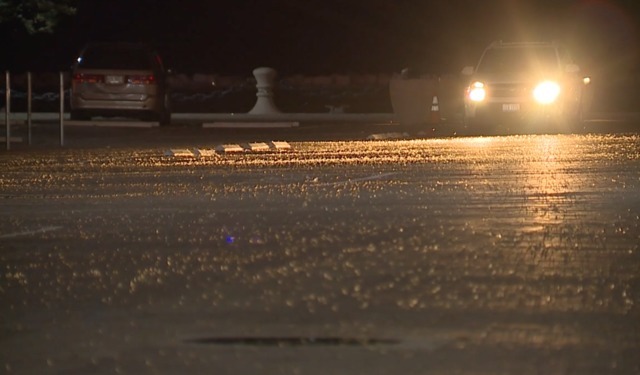 The tiny flying bugs are a summer staple in the Cleveland area, and swarms of the critters were spotted hanging out on cars and roads Thursday morning. Adult mayflies usually live for 24 hours, and its sole purpose is to find partners and a mate before it dies. Mayflies go by other common names such as shadfly, sandfly, dayfly and fishfly. In their aquatic stage, they're referred to as nymphs and are widely distributed and seen in freshwater, making Lake Erie the ultimate habitat, according to Encyclopedia Britannica. In fact, Scripps station WEWS in Cleveland's weather radar picked up an enormous cloud of mayflies flying in from Lake Erie. The mayfly infestation comes just a few weeks after the Cleveland area was visited by another Lake Erie bug: midges . However, Clevelanders don't need to worry about a plague of locusts — in fact, the pests are a sign of good health for Lake Erie.